St. Patrick's Day is one of the biggest parties of the year, and a perfect way to celebrate is with a round of shots. While you can mix up almost any shooter you like, this party calls for something that fits the Irish theme. We just happen to have some fun recipes for you to try! Let's kick this party off with a fun Jell-O shot recipe. The Guinness & Green may be a little more involved than the rest, but it is worth your time and effort. 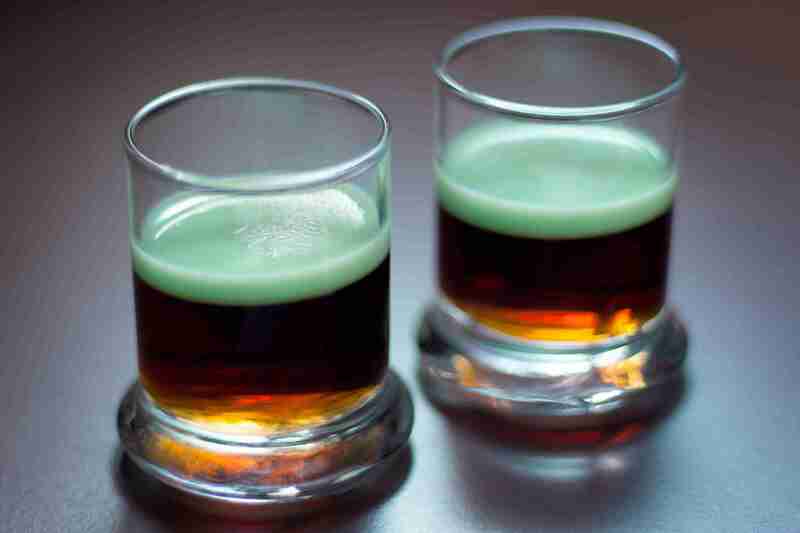 The bottom layer of this fun shooter is gelatin flavored with Guinness Stout and Irish whiskey. The top is made of an Irish cream gelatin that's tinted with food coloring. It's quite simple and an enjoyable project. For a straight shooter, few can beat the simple and bold taste of the famous Pickleback. 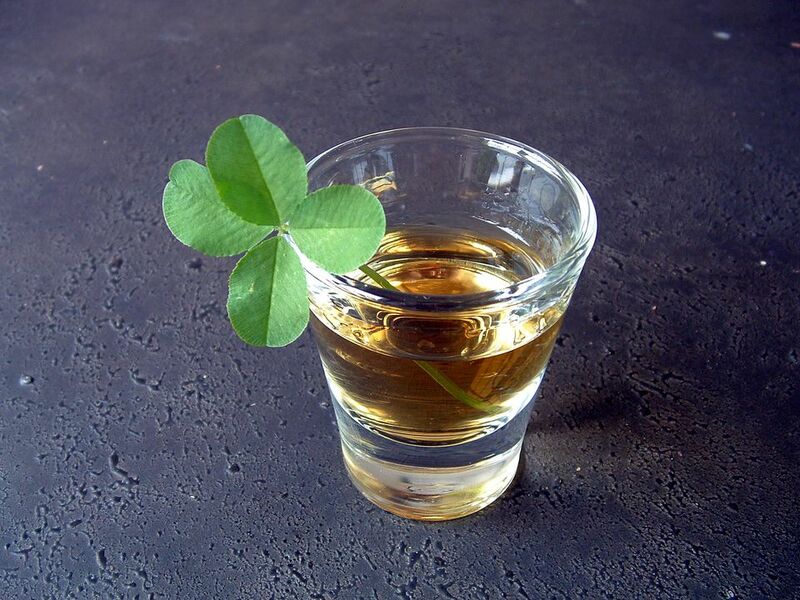 When it was created it quickly took over the Irish whiskey scene and St. Patrick's Day is a perfect excuse to revisit it. The Pickleback requires just two things: You will pour one shot glass of Jameson Irish Whiskey and one of pickle juice. Drink one and then the other and enjoy the sensation. It's hard to say why this combination works so well, but it does. Let's face it, sometimes you feel like getting a little nutty. That's the point of the party, right? If you're in that mood, we have the perfect shooter for you. The Nutty Irishman is both fun and delicious. It's also easy enough to mix so you can serve up a few rounds to everyone at the party. All you need are Frangelico (for the nutty flavor) and your favorite Irish cream. One of the most popular shots, the Irish Car Bomb is just as fun on St. Patrick's Day. It's simple, it's familiar, and it's always a hit. Try to take it easy, though, because this one sneaks up on you. For this shot, you will need three very Irish ingredients: Guinness, Irish cream liqueur and Irish whiskey. The liquors are combined in a shot glass, and you'll pour the dark stout into a pint. Choose to drop it or just chase it, it's up to you. Put your bar skills to the test with a layered shooter. It's both unique and fun and, when made correctly, it takes on the colors of the Irish Flag. The three layers not only look great, they also taste pretty good. The bottom is green crème de menthe, the middle is Irish cream, and the top is Grand Marnier. Have fun with it and be sure to share. Another layered shot, the Irish Frog is a little easier. You might even enjoy it more, especially if the mint-orange combination doesn't appeal to your taste. This shooter requires just two layers. A melon liqueur, such as Midori, forms the foundation and it's topped with Irish cream. It's quite tasty and you may even be back for a second round. Shake that Irish Frog and add Irish whiskey and you've been Shamrocked! It's a perfect way to end St. Patrick's Day, especially if you have a catchy Irish toast ready. This easy shot is ideal when you can no longer concentrate on the Irish frog's layers. Simply pour Tullamore Dew, Midori and Irish cream into a shaker, mix it up, strain it out, and drink it down.